April 9, 2019 - por CDE. Statewide chronic absenteeism data became available for the first time in 2017 and demonstrated chronic absenteeism patterns in schools districts and counties. Last year, chronic absenteeism became a state indicator on the California School Dashboard and increased awareness of the high chronic absenteeism rates in the state, particularly among the following student subgroups: Students with disabilities, economically disadvantaged students, homeless, and foster youth. Students are considered chronic absentees if they miss 10 percent or more of the school days they have been enrolled. Students and families are referred for SARB meetings when a school has tried and failed to prevent or resolve attendance or behavior problems. State Superintendent Thurmond convenes the State SARB to bring together key agencies and community partners to promote a three-tiered model for reducing chronic absenteeism rates and drop-out rates in the state: prevention, early intervention, and intensive intervention. 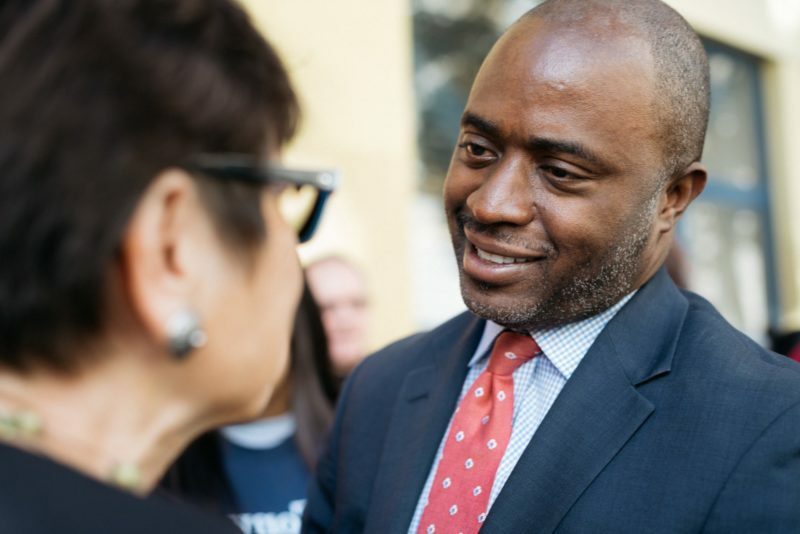 Thurmond has spent years working to reduce chronic absenteeism. As an Assemblymember, he authored and helped to pass the Learning Communities for School Success Program (AB 1014), which has provided over $68 million in grants to schools seeking to resolve attendance problems for students in grades K–12. The expert panel appointed by Thurmond reviewed the applications submitted by local and county SARBs throughout the state. The Model SARB award recognizes excellence in specific content areas, including establishing goals and objectives, implementing prevention and intervention strategies, and developing collaborations with local agency resources.